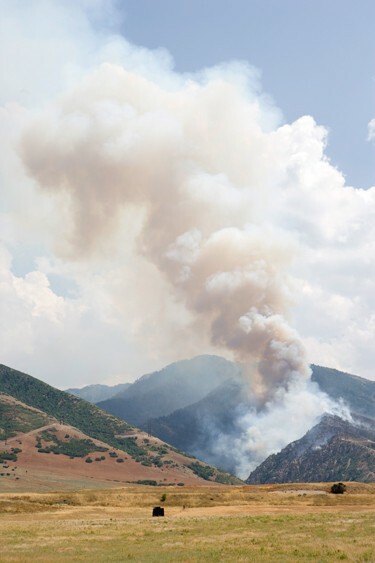 Thick white and gray smoke was visible from around Tooele County as a fire in Middle Canyon continued to grow on Friday, burning approximately 200 acres by the afternoon. 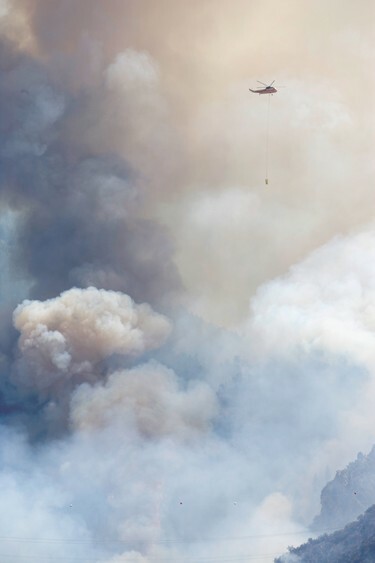 Despite the continued growth of the blaze, fire officials believe it is moving in the direction they want it to with resources on scene, according to Leann Fox, spokeswoman for the state Division of Forestry, Fire and State Lands. The fire is approximately 5-percent contained as of noon, according to Tooele County Emergency Management. 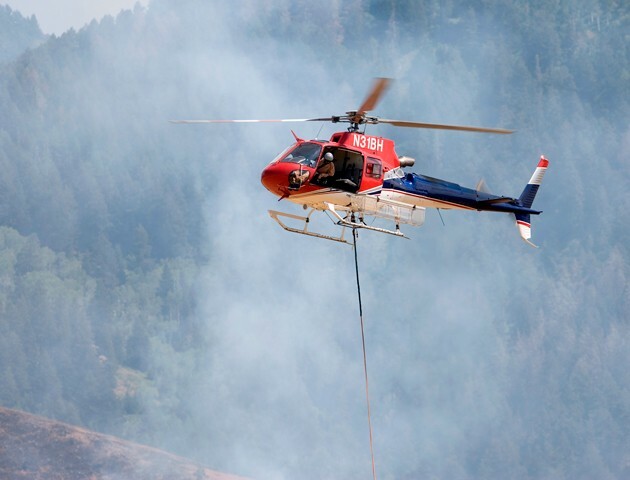 The fire began within Middle Canyon and was first reported by a UTV rider coming down Middle Canyon Road around 9 p.m.
Air support units, including three airplanes and two helicopters, dropped retardant and water on the fire throughout the day on Friday. Fox said a hotshot crew was dispatched to the fire, but there are minimal resources on the Middle Canyon Fire due to fire activity around the state and region. Hotshot crews are elite firefighter handcrews who specialize in wildland fires. 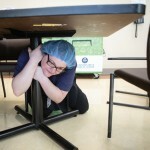 “Resources will continue to trickle in the rest of the day as they become available,” Fox said. 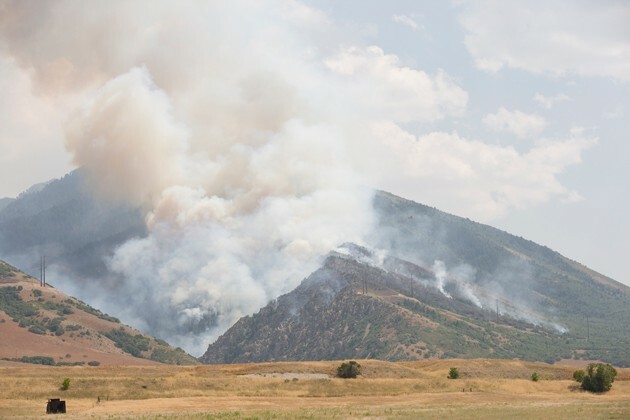 Command of the fire was turned over to the state Division of Forestry, Fire and State Lands around 11 a.m. Friday, according to a Facebook post from Utah Fire Info. The fire has been classified a Type 3 incident, which means it goes beyond a single day and requires additional management personnel. When fire crews arrived Thursday night, the blaze was only about 2 to 3 acres, according to a Facebook post from North Tooele Fire District. 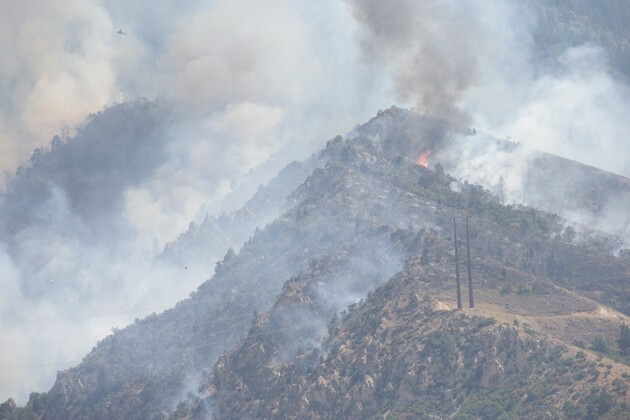 Canyon winds moved the blaze up and over a saddle, with the fire visible southeast of Skyline Drive in Tooele City early Friday morning. 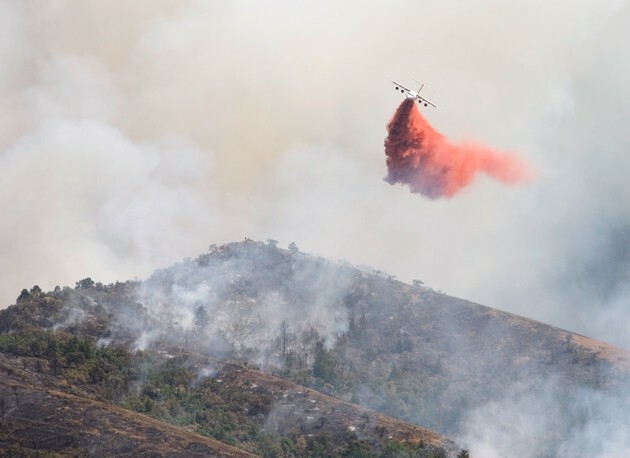 “It started on the Middle Canyon side and worked its way up over the saddle pretty quickly,” said North Tooele Fire District Spokesman Ryan Willden. The fire threatened two residences in the area of Grimm Hill Road and Cassity Drive, and fire engines were assigned to defend the structures, according to Willden. Willden said there was no imminent threat to the homes early Friday morning but the homes are downhill of the fire. Residents were allowed to return to their homes just after 3 a.m. and no evacuation orders were in place for residents Friday afternoon. 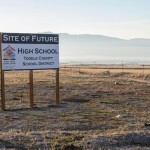 Fire crews from North Tooele Fire District, Tooele Army Depot Fire Department, Tooele City Fire Department, federal Bureau of Land Management, and state Division of Forestry, Fire and State Lands have all responded, according to Willden. For hand crews battling the fire, there have been challenges dealing with transporting hundreds of feet of heavy hose line and contending with thick vegetation, according to Willden. 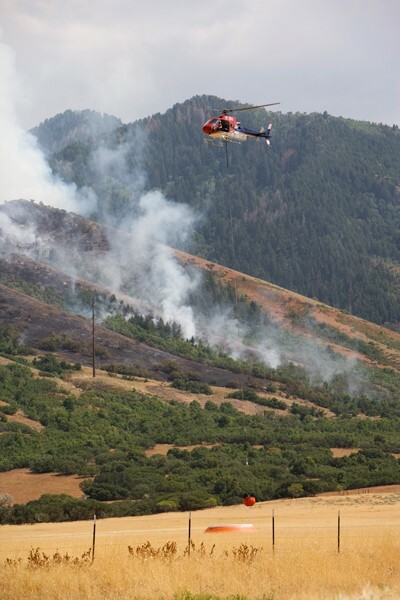 Tooele County bulldozers and other equipment are working to clear vegetation around roads and create additional fire lines. “It’s just really thick, heavy fuel, so it’s pretty tough to get in and get access,” Willden said. The cause of the fire has not been determined but Willden said NTFD responds to calls of unattended campfire three to four times a month and there were reports of fireworks in the area.